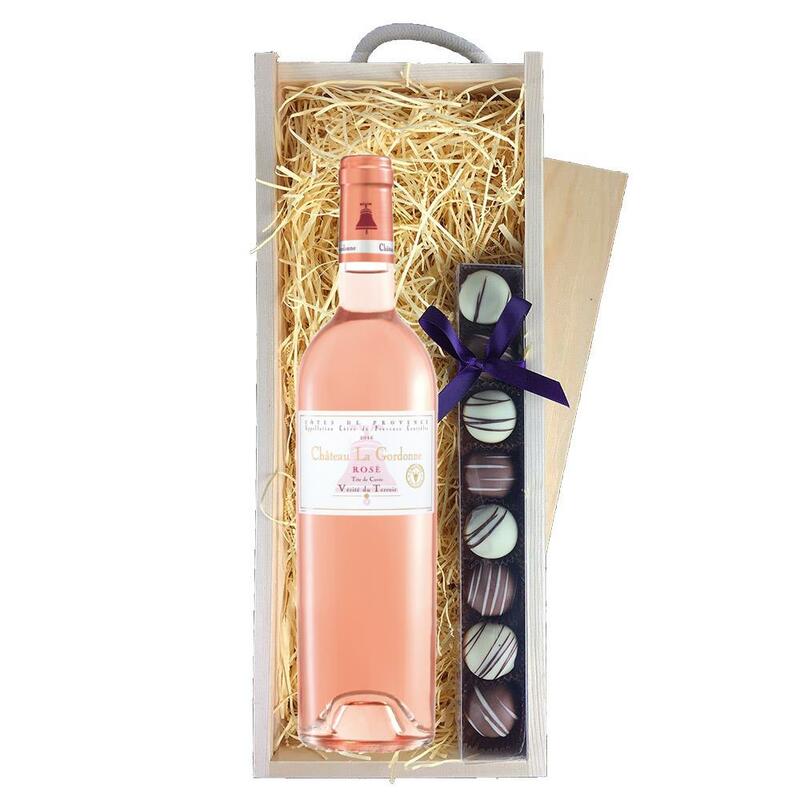 A single bottle of Chateau la Gordonne Verite du Terroir Cotes de Provence Rose 70cl and a single strip of fine Hand Made Truffles (110g) Presented in a wooden gift box with sliding lid and lined with wood wool with a Gift Card for your personal message. Chateau la Gordonne Verite du Terroir Rose - AOC Cotes de Provence Rose - Bright, light pink with a nice brilliance. The very ample nose expresses intense berry and pink grapefruit aromas. This refreshing promise is affirmed in the mouth by dominant notes of raspberry and redcurrant underscored by the freshness of citrus. T This product is hand packed onsite by Gifts International, and is not affiliated with any other brand. Gifts International is responsible for this product combination/set.